Your home should be a place of solace where you can unwind at the end of the day. The right décor can have a big effect on how relaxing your home feels. 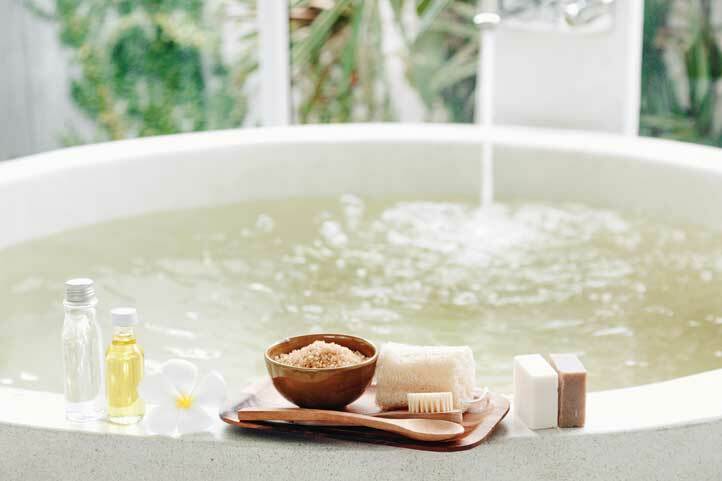 Here are seven ways that you can make your home feel less like a place of stress and more like a spa. For a more relaxing home, start prioritising comfort over other practicalities. Choose upholstery that you can sink into. The likes of leather and nylon may have advantages such as being easier to clean, but these materials can get colder in winter and are generally stiffer. Alternatively, you could start using more cushions and throws if you don’t want to get rid of this upholstery. Of course, a cosy mattress should be your number one priority. Everyone has different preferences when it comes to their bed, some favouring hard mattresses whilst others prefer something softer. Mattresses should be changed every 8 years and should never be bought second-hand. A relaxing home needs a spacious and comfortable bath. Consider looking into new bathroom suites if your fixtures aren’t comfortable or are starting to look aged. You could even add features such as underfloor heating, heated towel racks and extra spot lighting to make the room feel more warm and radiant. Scents have a big impact on our mood. Consider using scented candles and sweet smelling plants and incense to add some relaxing aromas to your home. You can even try some DIY home scents. Studies into houseplants have revealed all kinds of benefits from helping us to sleep to helping us to concentrate to even deterring illness. Start growing some plants around the house and see how your mood is affected. Plants can be added to any room providing there’s enough natural sunlight. Cool colours such as blues and greens are more relaxing. They’re ideal for bedrooms and bathrooms for this purpose. Warm colours such as red and yellows are more energising. Whilst they may suit a kitchen or living room well, having them in a bedroom could be too distracting for some people. A bright home feels happier. If you don’t want to add more artificial light, find ways of letting in more natural light. Placing a mirror opposite a window is a great way of letting in more sunlight. You can also make use of reflective surfaces such as chrome and polished woods. Keeping your home warm will make it more relaxing. This needn’t result in turning on the central heating more often. Thick curtains can be ideal in winter for trapping in heat and keeping out drafts, also giving the room a cosy feel. Throws on sofas and beds and rugs on wooden floors can also add an extra sense of warmth.